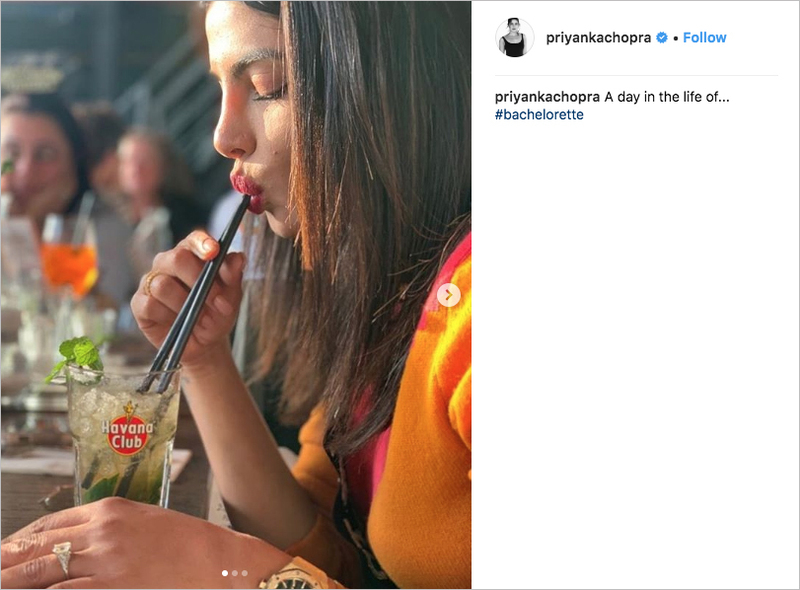 Home > Celebrity Style > Actress Priyanka Chopra Had Her Bachelorette Party! 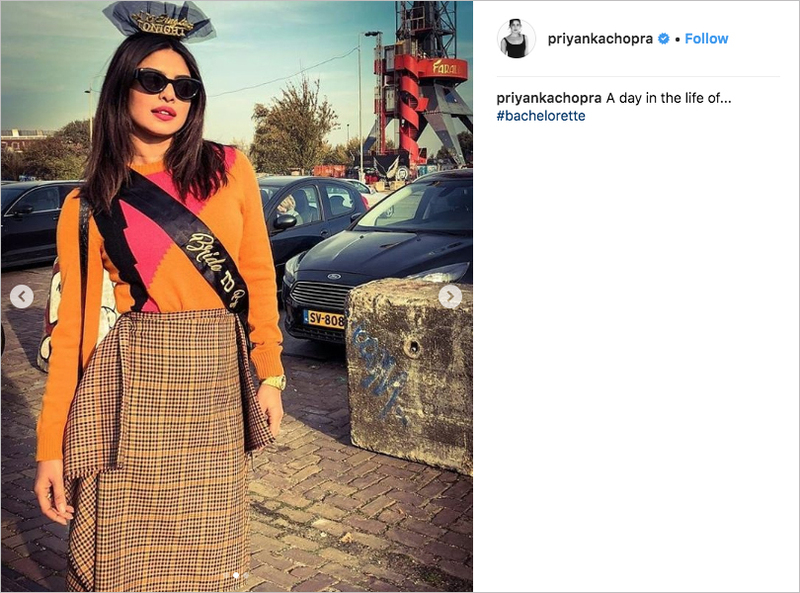 Actress Priyanka Chopra Had Her Bachelorette Party! 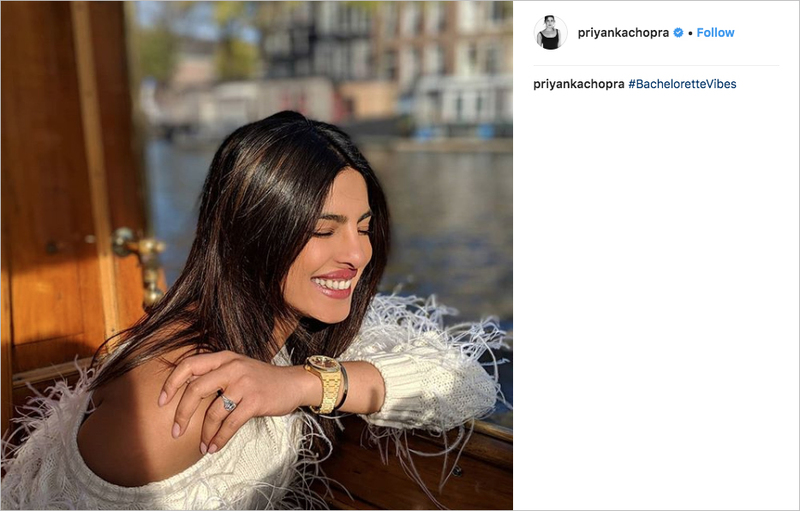 Could her wedding to Nick Jonas be around the corner? 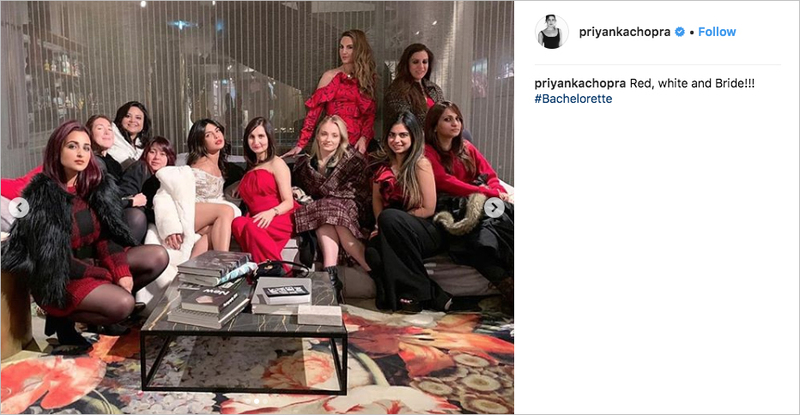 It looks like a Jonas Brothers wedding could be fast approaching. 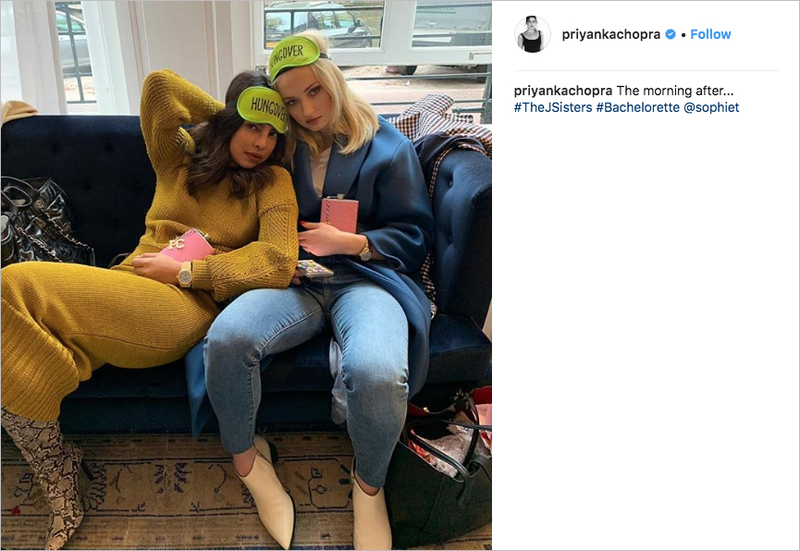 Though Joe Jonas proposed to Sophie Turner just over a year ago, it seems his little brother may be making it down the aisle first. 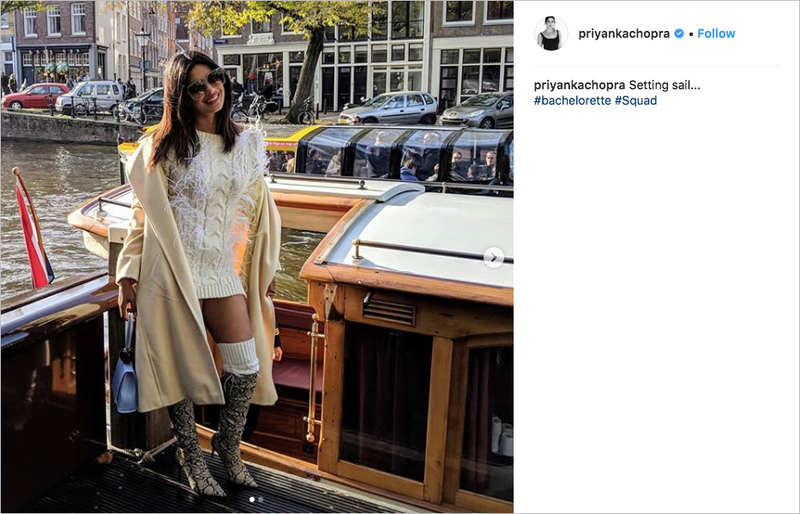 Nick Jonas and Priyanka Chopra stunned the world with their whirlwind romance and engagement this summer, and now that the Quantico star has celebrated her bachelorette weekend, it seems likely that their big day is not far behind. 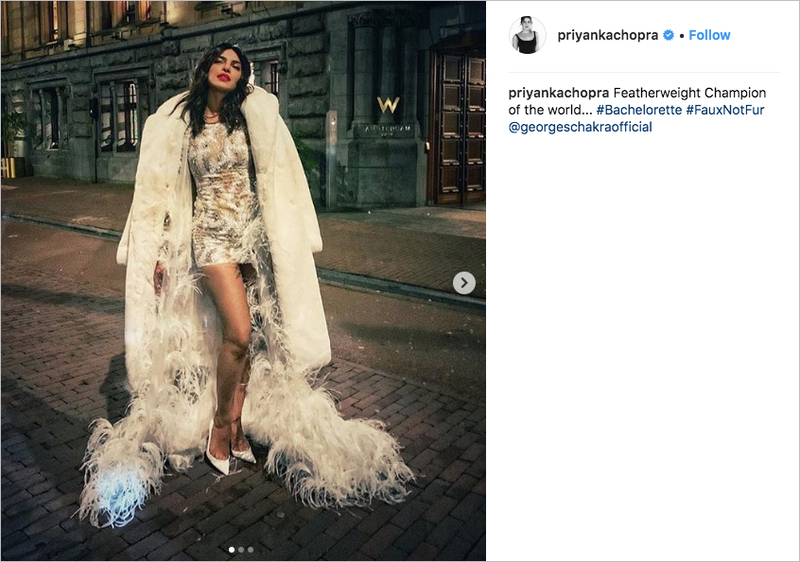 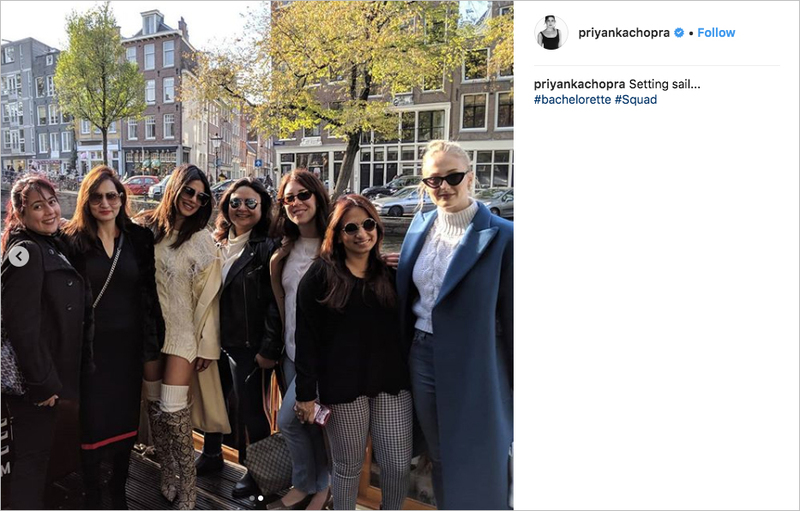 Priyanka – sporting glamorous fall fashion the entire time – and her closest gal pals explored Amsterdam in honor of the bride-to-be’s impending nuptials. 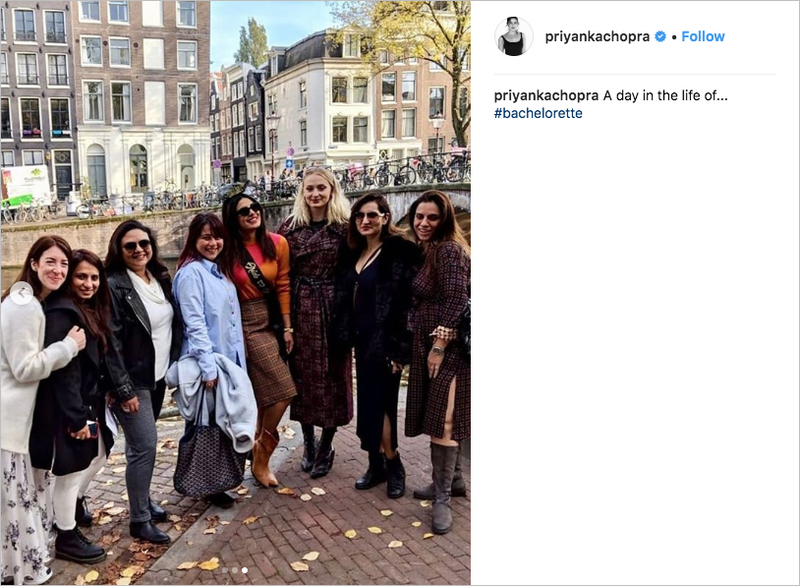 While future sister-in-law Sophie Turner was in attendance, eagle-eyed fans of The Jonas Brothers may have noted that Danielle Jonas, Kevin’s wife, was not a part of the festivities. 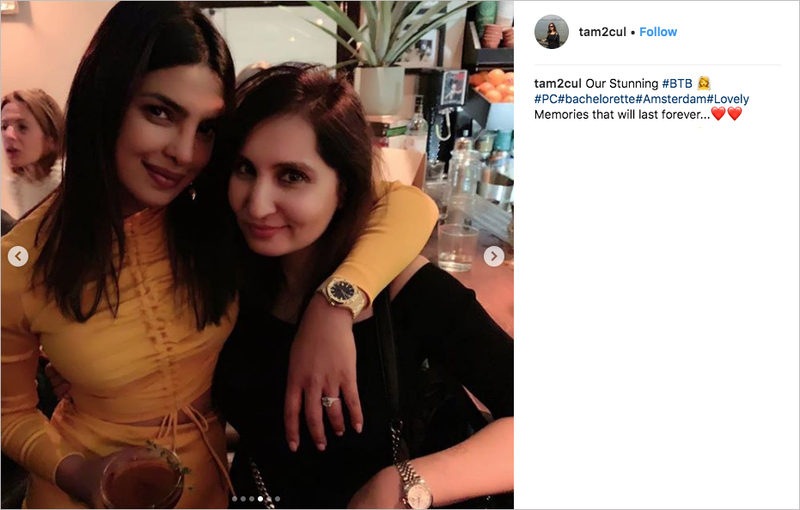 However, in the caption of a photo of a pajama party that was part of the weekend, Priyanka noted that Danielle (along with two other close friends) was missed. 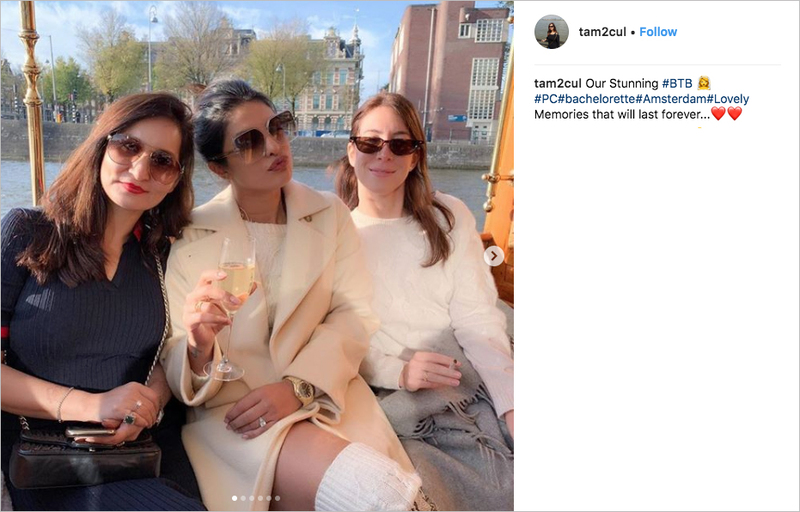 A European weekend was presumably too difficult for the mother of two get away, but it was actually a good compromise for the bride to find a meeting point for her friends in America and her home country of India to get together. 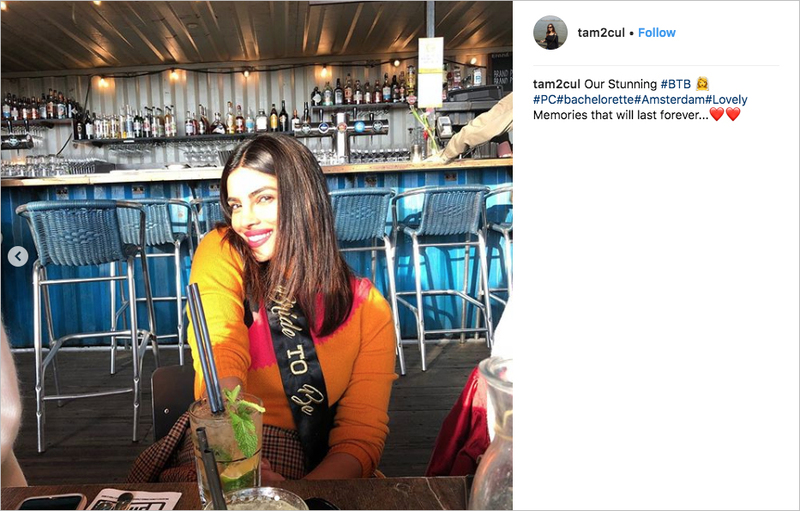 Take a look at photos from the big weekend below! 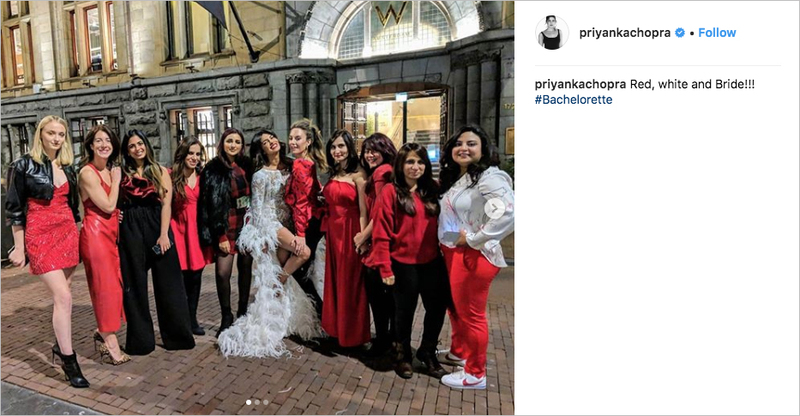 See the recent star-studded wedding of Danielle Fishel and Jensen Karp as well as the surprisingly elegant nuptials between Mike "The Situation" Sorrentino and his college sweetheart Lauren Pesce.